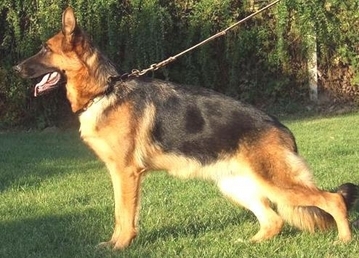 Home of the best quality German Shepherds for sale available. Visit our puppy page for info on our available puppies. VISIT PUPPIES CLICK HERE: FOR MORE INFO. Visit UPCOMING LITTER page to see our next litters. We have different litters available now. 1 is from our Nino Von Tronje Descendants Sultan. Sire is the son of the current 2nd place World Champ Nino Von Tronje. He is also considered one of the best producers in Germany. We only have a couple female german shepherds left. Don't wait too long or they will be all gone. We also have 2 litters from the 2013 VA World Champion. He is an amazing Sire with an impressive pedigree. Check out all our available German Shepherd puppies. You can't go wrong when you purchase a puppy from great pedigrees. 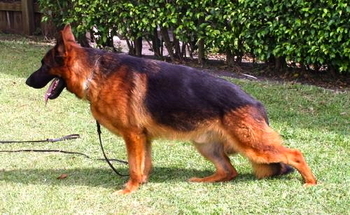 We are Hobby German Shepherd breeders located in beautiful South Florida in the MIAMI area. 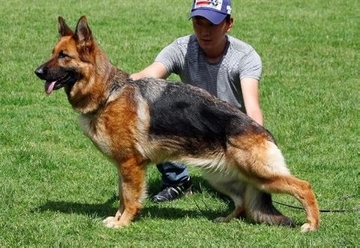 We breed German Shepherds because of our passion and love for the breed. We concentrate on breeding the best quality, temperament and beauty. That is why we have the best puppies for sale. Our dogs are family raised and cared for. Many breeders say this but when you visit my house you will see that I mean it. My dogs run my house. Instead of baby proofing we puppy proof. You will always see toys laying around. We do not use kennels. We offer dogs that are imported from Europe out of the best bloodlines available to produce a healthy, highly intelligent, courageous and loyal German Shepherd puppy that will be part of your family for years to come. Our German Shepherd dogs have passed all the health checks required, like hips, elbows and temperament tests. All our German Shepherds are DM FREE. Puppies are DM free as well. Nonetheless, we also offer a guarantee on hips, elbows and temperament. We do everything right so you may enjoy the fruit of our labor. Please, browse our web site and email or call us should you have any questions. We have German Shepherd puppies for sale. We also have older puppies. From time to time we also offer Adult German Shepherds for sale as well. We ship our German Shepherd puppies and dogs worlwide. VISIT OUR PUPPIES PAGE FOR AVAILABLE PUPPIES AND UPCOMING LITTERS. WE HAVE BLK/RD GERMAN SHEPHERD PUPPIES FOR SALE.